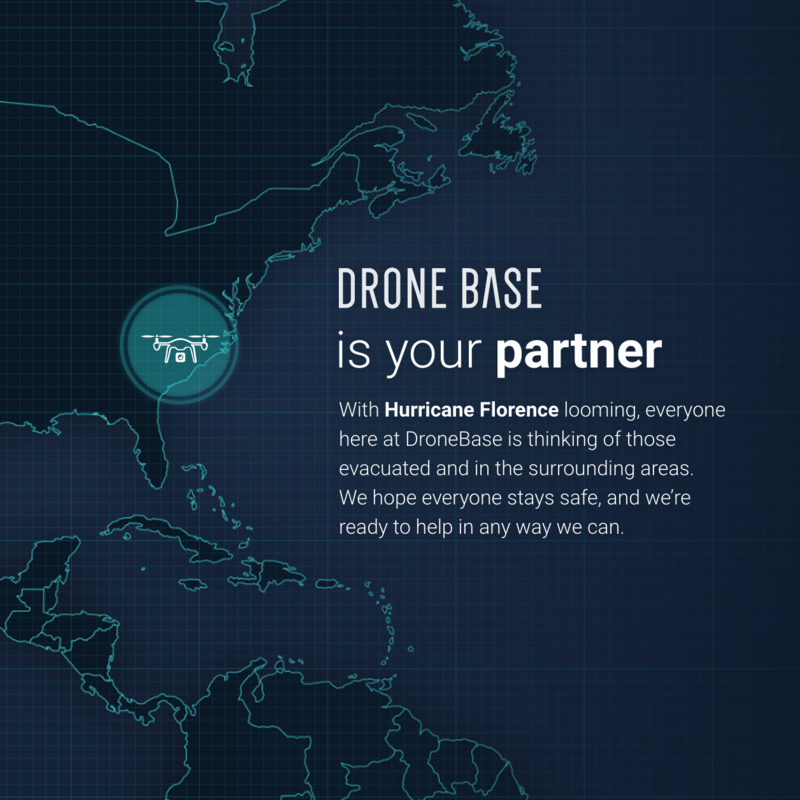 With Hurricane Florence looming over the Carolinas, everyone here at DroneBase is thinking of those evacuated and in the surrounding areas. We hope everyone stays safe, including our Pilots. While there is no telling what Hurricane Florence will bring, it’s important that industries start coming together before the storm to begin preparations for recovery efforts. We have seen that advance planning has helped in past hurricanes, and we want to let Pilots and customers in media, insurance, and commercial real estate industries know how we can help prior to landfall. 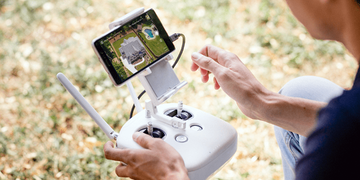 Additionally, DroneBase provides news services, such as AP and Reuters, with aerial images and videos to help tell stories about what’s happening on the ground. We’ve seen our images syndicated nationally and even globally, allowing the world a glimpse into the reality of our communities and the damage these natural disasters can inflict. 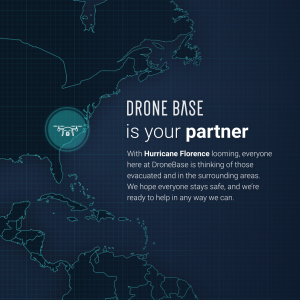 To support the insurance industry, DroneBase helps insurers process claims faster. In Hurricane Harvey, for example, we heard first hand that policy owners were able to receive their claims in as little as six days, cut almost in half from the average of 11. This made all the difference in helping homeowners get back on their feet and rebuild. In anticipation of Hurricane Florence, we’re already helping commercial real estate companies access the state of their properties. We will be running missions after the storm so decisionmakers can assess the damage. 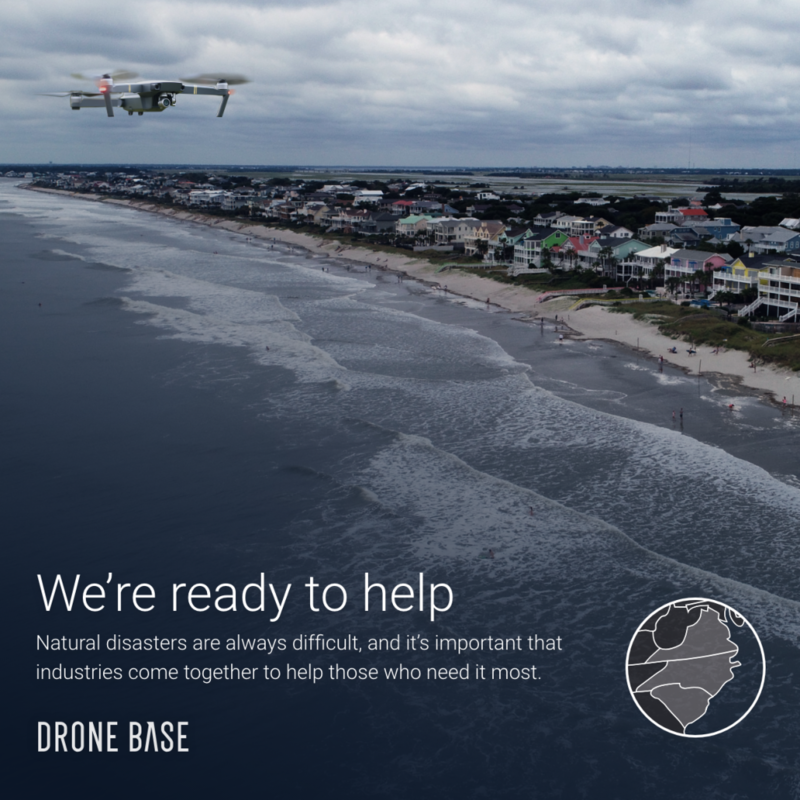 Natural disasters are always difficult, and it’s important that industries come together to help those who need it most.